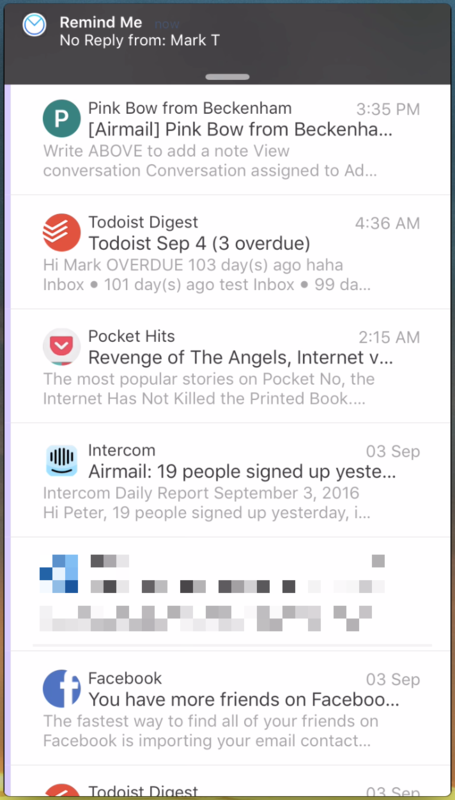 Airmail now introduces a new feature which will help you to set reminders on the outgoing messages, which can be turned on while sending. It reminds you at that set time if the message is not replied to before the specified time. 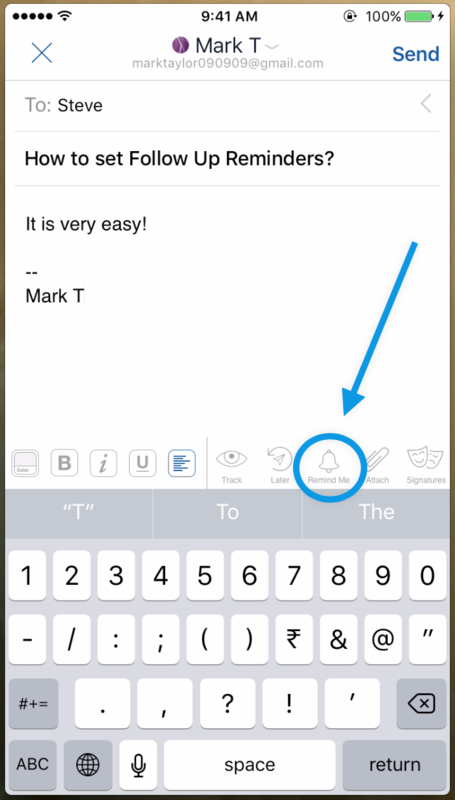 After tapping on the &apos;Remind Me&apos; icon, you will get four options to choose from, as shown in the picture below. You can choose custom time from the &apos;Pick Date...&apos; option. After you turn the &apos;Remind Me&apos; option On, it should look like in the picture below. 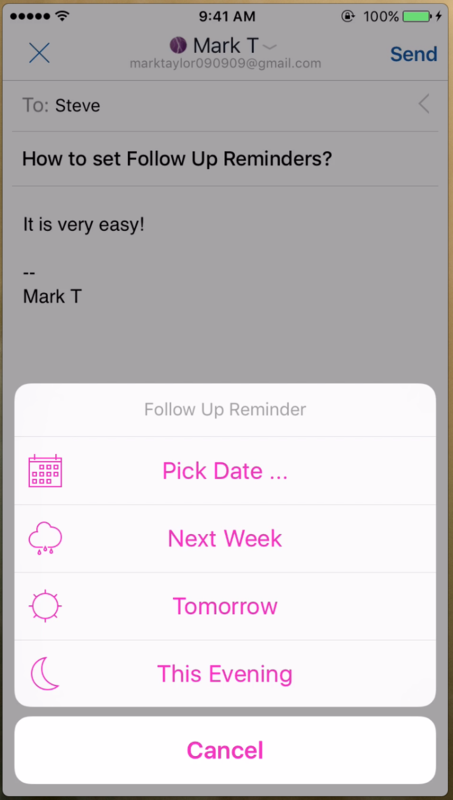 Where to find all the follow up reminders? 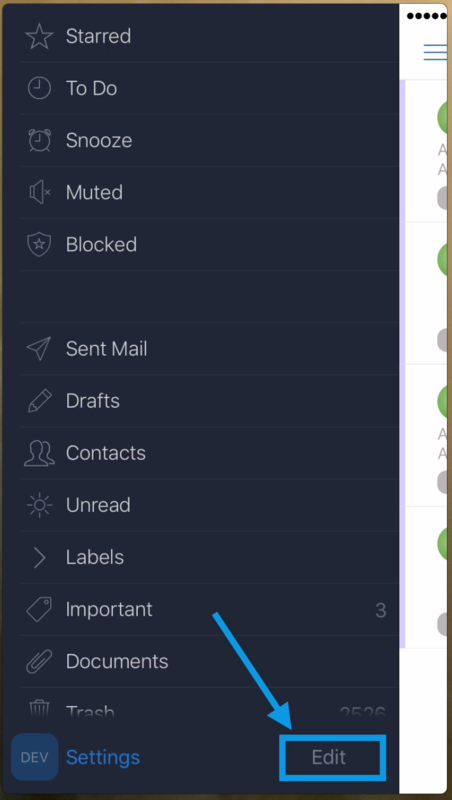 Please go to Airmail Sidebar and choose &apos;Edit&apos; as shown in the picture below. Then include the &apos;Reminder&apos; option to appear in the sidebar (folder panel) as shown in the picture below. 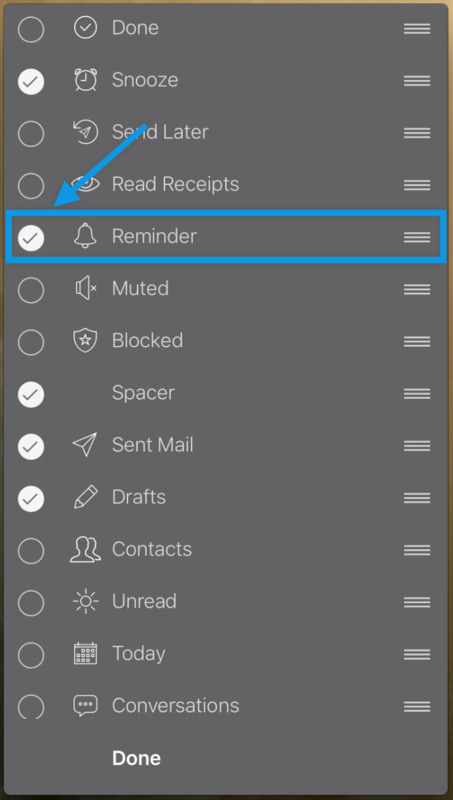 This will save the &apos;Reminder&apos; folder to the folder panel to easily access the reminders at one place. 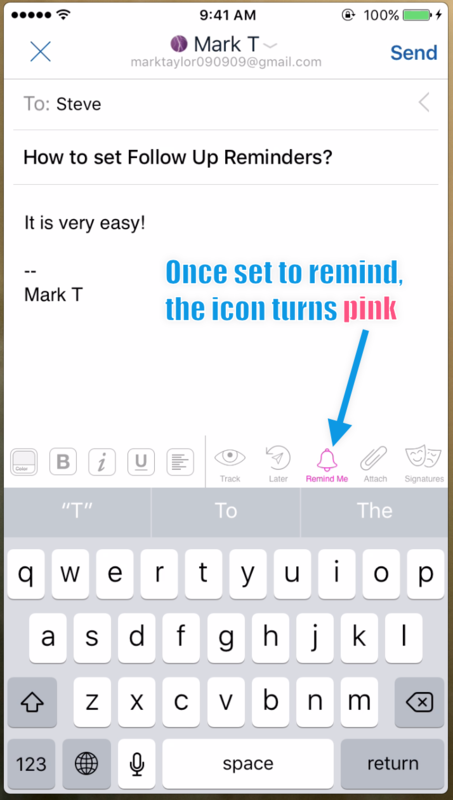 The notification of the &apos;Remind Me&apos; feature will look as shown in the picture below.